Created in part to serve a pedagogical need, I have undertaken a project to create a decently typeset version of Wittgenstein’s Tractatus-Logico-Philosophicus (1922) that presents Wittgenstein’s original German original alongside both major English translations: the Ogden (or Ogden/Ramsey) translation, and the Pears/McGuinness translation. Right now six versions are available in three file formats. All contain Russell’s introduction, and a hyperlinked English index. (The index is taken from the Pears and McGuinness edition.) They were created by cleaning up and checking versions of the text found elsewhere on Public Domain sites online to create LATEX source which was then converted to other formats. I believe these are substantally more correct than most other versions available on the internet, some of which are rife with errors. Nevertheless, it is possible that errors remain. If you discover any, please email me at klement@philos.umass.edu, or use the Bitbucket issue tracker. In the future, more could be done to track changes between releases of the editions. Thanks to Josh Fry to bringing a number of discrepancies in earlier versions to my attention. (For information on changes between the 1922 and 1933 versions of the Ogden translation see C. Lewy, “A Note on the Text of the Tractatus”, Mind 76 (1967): 416–423.) Thanks also to Michael Sperberg-McQueen, Marcus Hinz and Tim Kraft for helping spot typos and other issues in the German. Update! Version 0.50 (January 2018) represents a major new milestone. Efforts have been made to allow readers to read the text in new ways representing the “hierarchy” of the proposition/section numbers of the text. (See below.) The source files for the project, including building and conversion scripts, are now available in a public git respository on Bitbucket. Thanks also to Marcus Hinz for some improvements to the user interface for the HTML versions. Please also see The University of Iowa Tractatus Map, which is based on this text, and represents the hierarchical nature of the propositions in the work in a visually suggestive way. These are the best versions typographically, the best for printing, and the most likely to be displayed consistently across various devices. They are less flexible, however, and cannot be dynamically changed. Three PDF versions are available. This is the “classic” version of the Side-by-Side-by-Side edition text, with the three versions in three columns. This version ascends through the various hierarchical layers of the text, first showing the propositions without decimal numbers (1, 2, 3 …), then those with at most one digit after the decimal point (1.1, 1.2, 2.1, …), then those with at most two, three and five digits. This aims to provide a typographically nice version suitable for smaller screens, such as tablets and portable eBook reading devices. Only one version is shown at a time, but there are hyperlinks to and from a given proposition to its translations. Recommended for viewing online, converting to another format, or using when dynamic changes are needed. New: the online web pages now have a “Settings” button you can use not only to tweak the appearance (fonts, colors, etc. ), but limit the display to certain depth levels of the TLP hierarchy, which can be changed dynamically. Two layouts are available. Displays all three versions at once, in side-by-side columns, with (optionally) different color backgrounds. Displays one version at a time, but with links to the corresponding part of the other versions; useful on smaller screens, or for printing only one version. Note: As of version 0.50, I have removed the embedded fonts from the ePub version, dramatically reducing the file size. Current eBook devices and software now typically have better font support, and can render the logical symbols in the book without embedded fonts; if you are using an old device, however, you can download an older version (0.47) with the fonts still embedded; also consider using the PDF hyperlinked version instead if your device can render PDFs. The project’s Bitbucket repository hosts the source files for all of the above, as well as scripts allowing for the creation of custom versions. Ludwig Wittgenstein’s Tractatus Logico-Philosophicus is in the Public Domain. 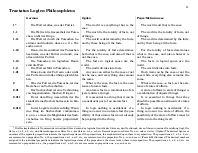 This typesetting (including LATEX, PGF/TikZ, HTML and SVG source code) are licensed under a Creative Commons Attribution-Share Alike 3.0 United States License. 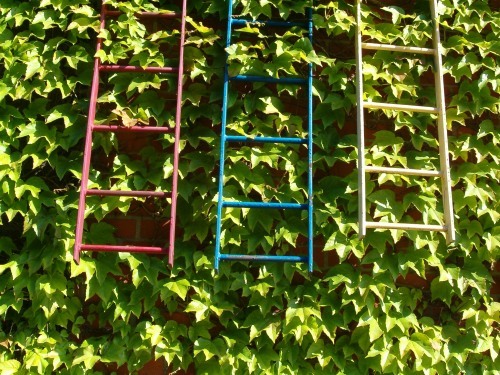 The photo “Ladders” by dev null, above, is licensed under a Creative Commons Attribution Non-Commercial Share-Alike 2.0 License. Copyright 2018 © Kevin C. Klement. This site uses valid HTML5 and CSS markup and has been validated by the w3c validator. It is best viewed with Firefox, Chromium or other standards-compliant, open-source browser.